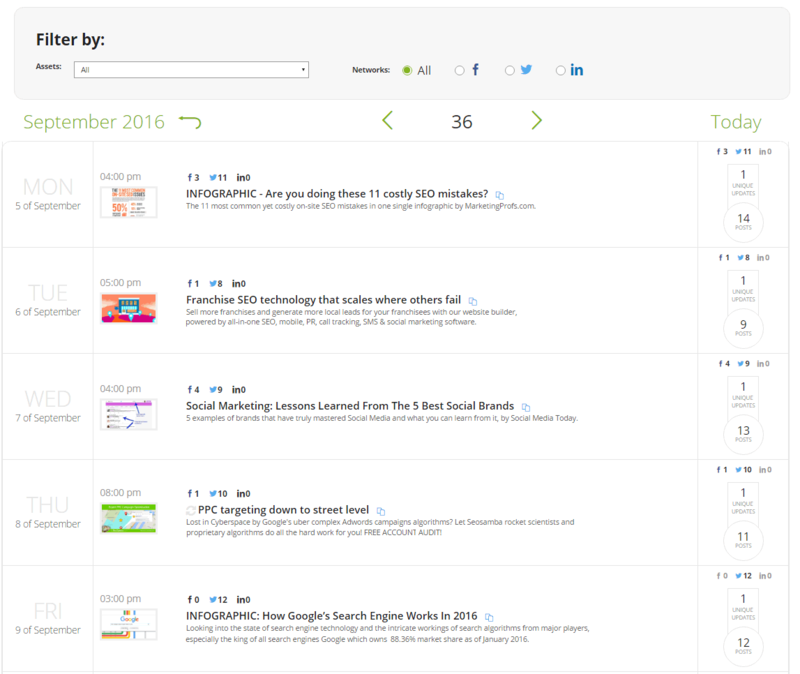 SeoSamba's social marketing calendar and publishing tools let you schedule social posts across any number of professional and personal accounts on major platforms such as Facebook, Twitter, and LinkedIn. Once scheduled or posted directly, social posts are archived for later use, while all social activity and engagement are monitored, recorded, and summarized in a convenient single panel. 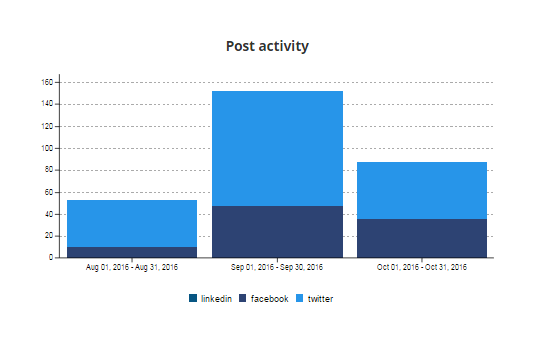 SeoSamba’s social calendar dashboard lets you view their entire monthly network activity for the past and upcoming social posts, or dig further to get more details with weekly and daily views. Elegant and user-friendly, the social dashboards let users see all important information at-a-glance, and navigate through the weekly calendar to see the number of posts sent or scheduled for each social network. The social posting widget is loaded with time-saving functions such as the hashtag box, and makes posts even easier to schedule at will on period, time frame, repeat rhythm, and time zone, basically letting website owners create advanced social ads with no need to deal with labyrinthine ad building widgets on each social platform. 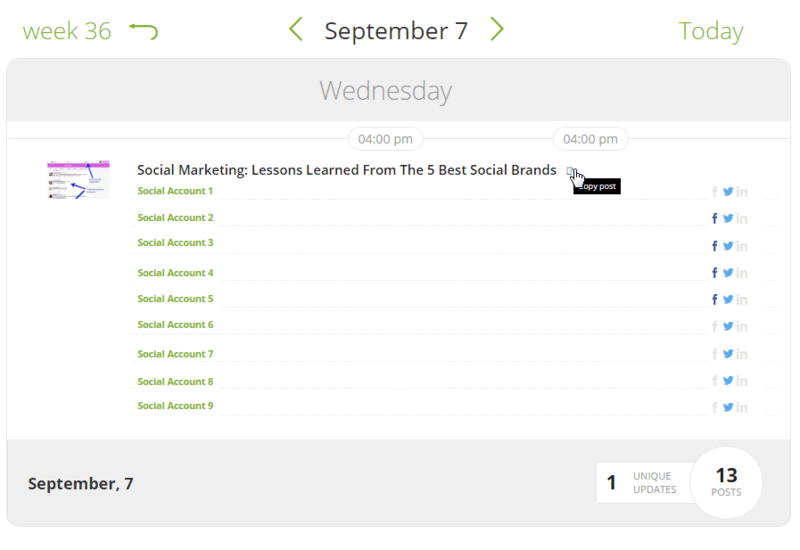 The social calendar daily view lets you dig in details for all your post, whether upcoming or archived. The "copy post” feature that lets users copy past posts to create new ones, especially useful for recurrent holiday season posts, and to retrieve past ads directly from the social interface instead of having to dig through months of data on each social network. We don't need to tell you how cumbersome and boring updating all your social networks can be. 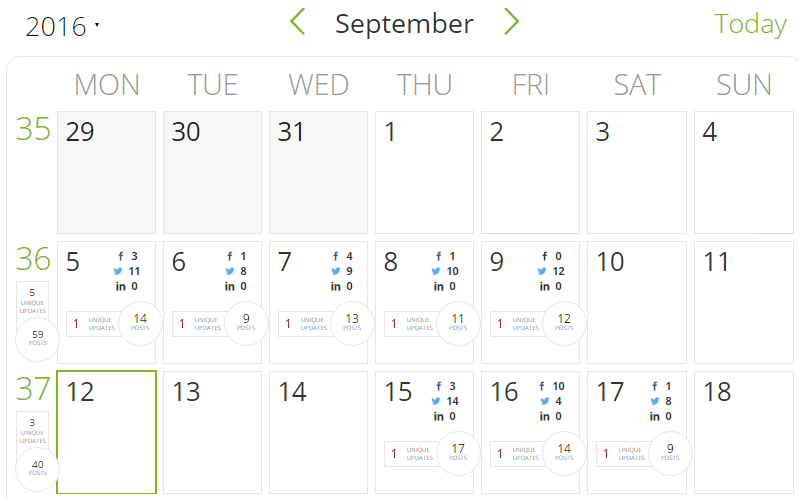 With SeoSamba's social calendar, the nightmare is finally over! Post as much as you want to as many social accounts as you need. Your time is precious, and now you can finally focus on content instead of wasting resources on half-baked tools. The possibilities are endless, creativity is your only limit. 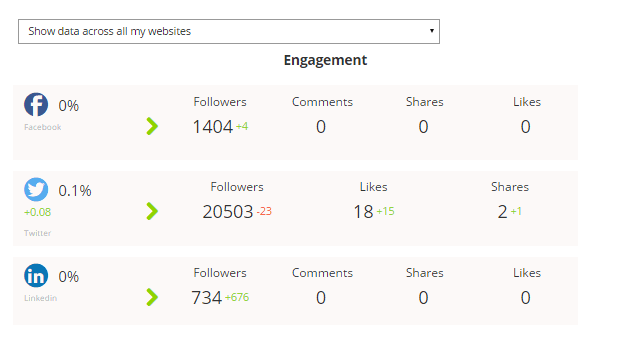 Do you really have time to go to each of your social network to check activity and engagement numbers? We didn't think so. Once scheduled or posted directly, all your social posts are archived for later use, while all social activity and engagement are monitored, recorded, and summarized in a convenient single panel. Your social network eats too much time? Time is money. 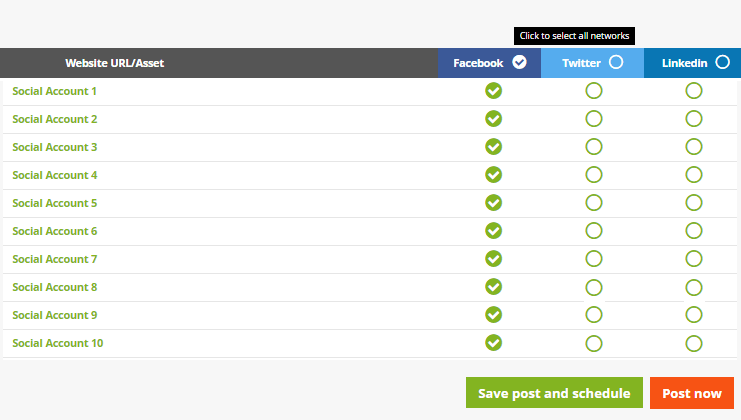 Save your time and update all your social accounts in one click with our Social Marketing Calendar.